The energy sector can hardly be called a haven for diversity. 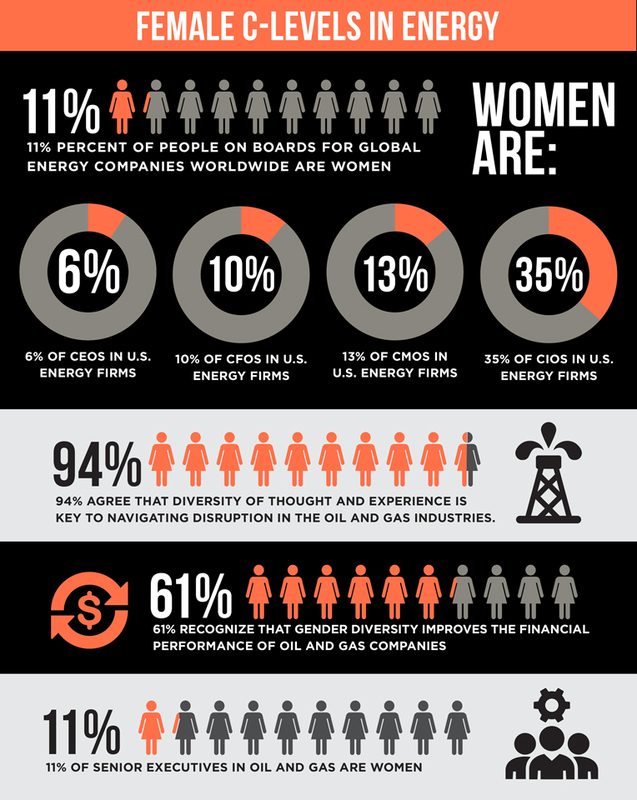 A survey by recruitment firm showed that women in energy comprise just 24 percent of all C-suite positions in the sector, the highest percentage belonging to CIO roles. They found that only six percent of women are CEOs. The numbers are somewhat more encouraging for CFO and CMO slots, at 10 and 13 percent, respectively.